Diaries serve for many purposes and corporate gifting is one of them. These are useful to every individual because they use to noting down some important information, meeting schedules, appointments and name a few. To keep this in mind, Nikos, the market player of gifting products offer Diaries in Mumbai. 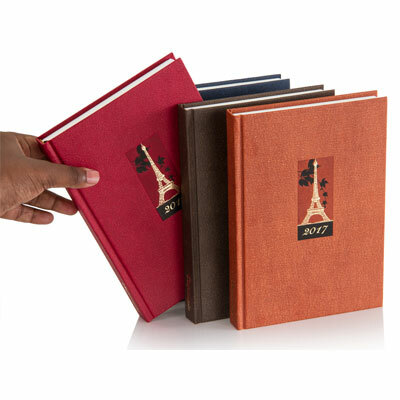 These Promotional Diaries can promote your brand to the wider audience. You can customize the diary with your company logo, name on every page of the diary. We do it for you as per your need. Besides, we also provide after sale support to our customers, so, they get the product on time at their doorstep. We are the name you need to remember for your need related to Customized Diaries in Mumbai, Pune, and Aurangabad or anywhere in Maharashtra. We have the best range of business diaries to offer with a number of customization options, so, feel free to get in touch with us. This may indirectly promote your brand and inspire the employees to work hard. Give us a call to know more. Diaries Make Great Corporate Gifts – Here’s How?